Research lab profiles directly contributed to increases in web traffic, with search engines like Google referring 85 percent of overall traffic. Since launching nine months ago, lab profiles have clocked in 9,000 sessions (or visits that may include multiple page views), and we’re expecting that number to grow. Top related searches on hopkinsmedicine.org have included a combination of research-oriented terms and names of specific faculty members or research divisions. Nine months ago, we introduced our research lab profiles into the web world. Almost immediately, we saw a direct impact on search engine performance, and it’s grown considerably ever since. How Do People Find Lab Profiles? Search engines like Google are the greatest driver of visits to laboratory profiles, accounting for a staggering 85 percent of overall traffic. This demonstrates the search engine power of hopkinsmedicine.org. As the third most visited hospital or academic medical center website, hopkinsmedicine.org is able to achieve strong search engine performance when we approach content with strategic objectives and structure, as we have with these profiles. 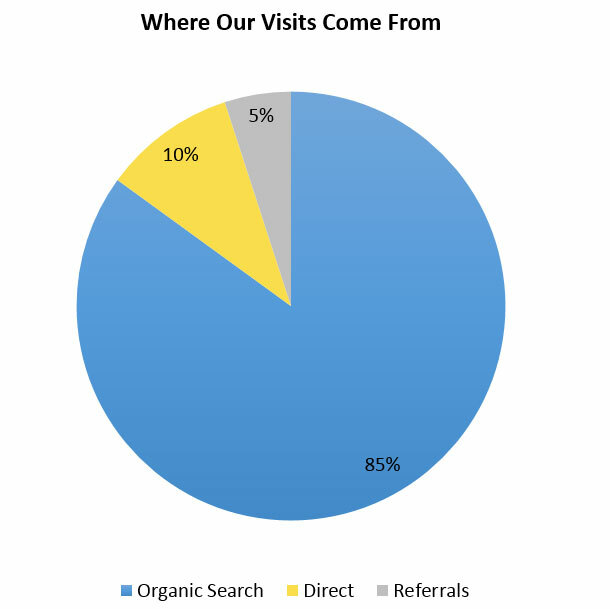 Another 10 percent of visits result from people who find their way from other portions of hopkinsmedicine.org. We expect this to increase over time. As content continues to improve and keywords expand, we have also developed searchable viewlets that will dynamically present these profiles in the other areas of hopkinsmedicine.org. The final 5 percent of traffic is referred to the profiles from other websites, including postdocjobs.com, insidehopkinsmedicine.org and neuroscience.jhu.edu. The site began receiving traffic in November 2015, and traffic continues to grow. 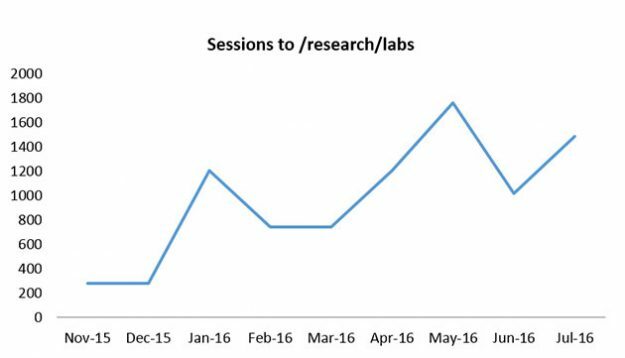 According to Google Analytics, nearly 9,000 sessions have occurred in the first nine months since launch. The content strategy behind lab profiles is designed to seamlessly guide visitors to hopkinsmedicine.org. Our insights into user behavior had shown us that visitors tend to use our on-site search tool, rather than relying on page navigation, to find the content they want. Note: The Google Analytics data in this report is based on a sampled percentage of total sessions. Aaron Watkins is the Senior Director of Internet Strategy at Johns Hopkins Medicine. He leads the Internet Strategy & Web Services Team in the creation and execution of a comprehensive online strategy including content creation and development, user-centered design and development, internet marketing and social engagement, and data-driven performance analysis. Frances Correa Ufnar is a web content specialist focused on increasing the visibility of our research, the school of medicine and the Johns Hopkins Department of Plastic and Reconstruction Surgery. With a journalism background and a passion for web content strategy, she has a penchant for finding the best medium for the message, and leveraging great content to appeal to a diverse range of audiences.